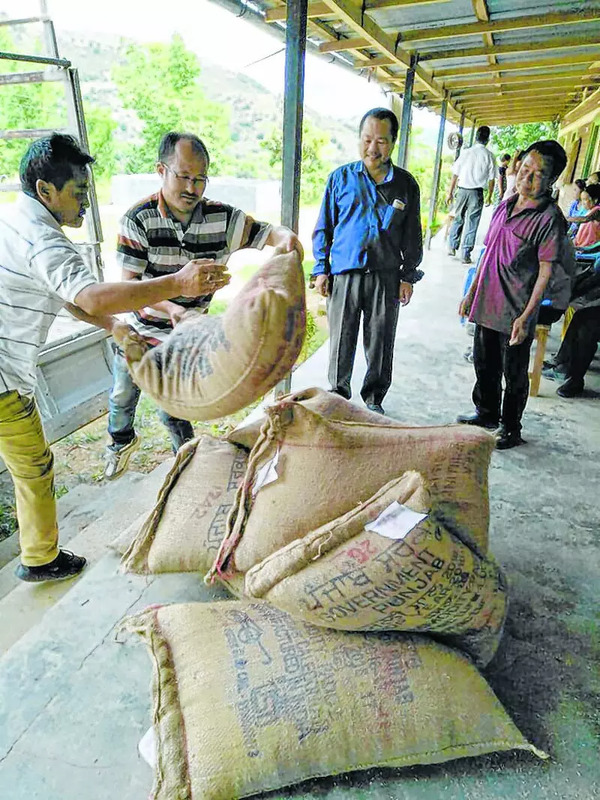 CHANDEL, Jul 6: A team of Social Welfare Department officials led by Deputy Director (Disability) H Dileep Kumar inspected the Mission Blind School, Heikakpokpi, Chandel district today under the supervision of Social Welfare Minister Nemcha Kipgen. The team interacted with the school staff and the students while inspecting the infrastructures and the teaching system of the school. 10 bags of rice were handed to the school authority. Dileep Kumar applauded the Principal of Mission Blind school for providing every possible measures for the blind childrens and proper functioning of the school in the last 15 years. Founder/ Principal of the school Pareng extended gratitude towards the BJP Government led by CM N Biren Singh and lauded the Social Welfare Minister for sending the concerned officials to look into the situation of the school and transforming its promises into action. He further lauded the Deputy Director (Disability) Dileep Kumar and the officials for visiting the school. He stated that the previous Government was requested several times to upgrade the the private school (established in 2003) into a Government school. It is the first time that the new Government has responded positively to the demands of the school authority. Meanwhile, the team also visited other schools namely Government Ideal Blind School, Government Deaf and Mute School, Observation and Special Home and Children Home and distributed 5 bags of rice each to the concerned authority of the schools. 10 bags of rice were also distributed to BB Paul School, Monsangei.